VIEW THE "BECK REIMAGINES BOWIE EXPERIENCE"
VIEW THE "HELLO AGAIN TOUR"
In 2012, The Lincoln Motor Company said “Hello, Again.” What may seem like a simple statement was a process of rebirth, reinvention and reimagination of the world around us. We looked back to a history rich with innovation and saw a future ripe with opportunity – the opportunity to take what we’ve learned and go somewhere completely new. This wasn’t the first time we’d reinvented ourselves, our motorcars and our entire company. It was Edsel Ford who bought Lincoln from Henry Leland in 1922 with the intention to take a good thing and make it into something greater than the world had ever seen. Throughout the next 90 years his successors were inspired by his innovative thirst and created motorcars that fit the preference of movie-stars, politicians and individuals with impeccable taste. Rules were broken; risks were taken. Sometimes it worked, sometimes it didn’t, but it was always a step in the right direction. 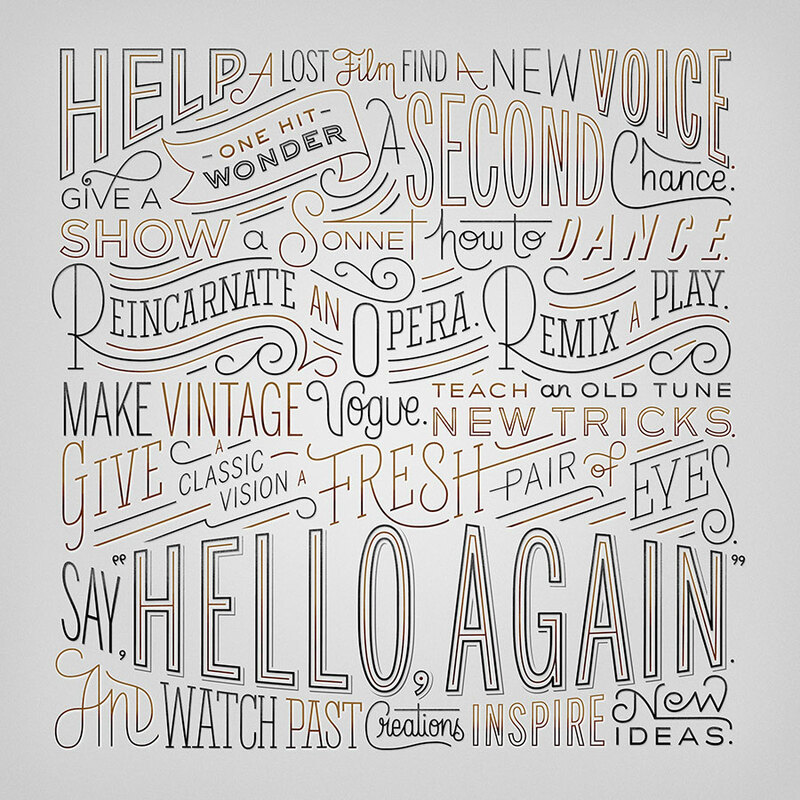 This year, we’ve said “Hello, Again” to the power of design, the way art is made, and given a forgotten song some new life. Why did we do it? Well, you might say it’s in our genes. Hello, Again, it’s nice to be here.